Race performance in a street legal SAE-F compliant package. Low power draw with Ion Yellow Color temperature designed for inclement weather and unmatched style. Modular up to 54" bar lengths. The best balance between price, performance and bulb life. 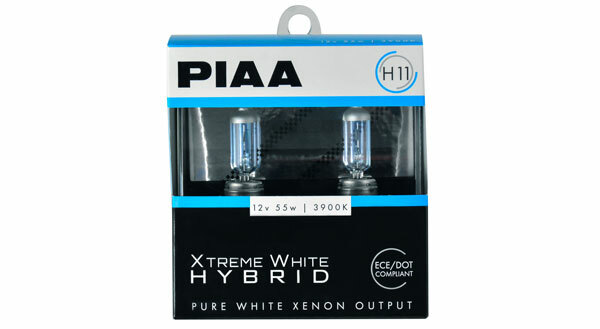 Constructed utilizing features from the Xtreme White Plus and Night Tech lines, PIAA’s Hybrid bulbs provide high output and reliability that today’s drivers demand. Priced at $49.95 per pair. The latest generation of the ultra versatile 1100 lights may be the best yet. The All Terrain Projector (ATP) feature a super wide, sharply cut beam pattern to illuminate far beyond the roads shoulders. The lightweight compact housing is rugged enough to handle any terrain. 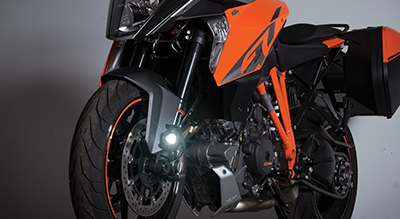 Along with the supplied fork mounts, this 1100p kit is a must have addition to any bike with increased safety and large amounts of light is needed. Call us at (800) 525-7422. 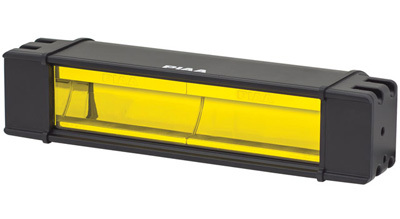 PIAA takes average driving visibility products like auxiliary lights, bulbs, and wipers to the next level. My wife commutes three hours a day and her safety is extremely important to me. Everyone told me to get rainx wipers but I believe your wipers ro be far superior. Your customer service is also excellent... you responded quickly and resolved my problem decisively. You gained a loyal customer for life. I will tell everyone to use PIAA products. Thank you for everything! went out to my van even though it is 93 degrees here with 70% humidity and replaced the relay. Next I chased down the switch connector and just plugged in switch connector (I will tear apart my dash later so it is properly installed. )I turned on my Piaa driving lights and they immediately illuminated for the first time in a few weeks!!!!!!!!!!!!!!!!!!!!! I can now see at night!! I had to thank you for your prompt service and diagnosing my problem with what little info I gave you.You stand behind your products 100% ! I like a stand up company and you will be receiving further orders for lights and bulbs from me!!!!!!! So few companies stand behind their products like you do!!!!!!!!!!!!!! Installed the PIAA RF 18 Series Hybrid Light Bar with the provided wire harness and (2) frame mounts on my Dual Sport Desert buggy's front push bar. Once the wire harness and mounts were installed, the process went very smoothly. I removed the provided light switch and added a toggle switch that matched my other switches on my console. After adjusting the RF series light bar to compliment my (4) 8" HID Spot/Driving lights, the RF Series lights worked great for seeing very well in front of the vehicle which made it easier and safer at high speeds. Got these LED bulbs for my 2016 ram 1500 with projector headlight. They work great and look great. No bulb out warning light. Had to do minor fabrication to headlight housing rear cover for clearance. The fan on the back is bigger than expected but easily remedied. Look like oem led lights. I am really satisfied with my new PIAA driving lights. The two really bright beams fill in the void between the high beams and my 2008 Jeep Liberty. Like having the low beams and the high beams on at the same time. As usual, the quality of the PIAA lights is unmatched. I have PIAA fog lights and driving lights on my Chevy 4x4 truck. I have used PIAA lights on previously owned vehicles as well. Would not use any other brand. While I initially balked at the cost ,this definitely a case of "You get what you pay for!"